The Fujifilm X-T3 is a great camera and it almost won Product of the year, but the Sony a7III beat it out for the DPReview. I frequently shoot both Sony and Fujifilm cameras, but Fujifilm is always my top pick for value and usability even if Sony takes home many of the awards. 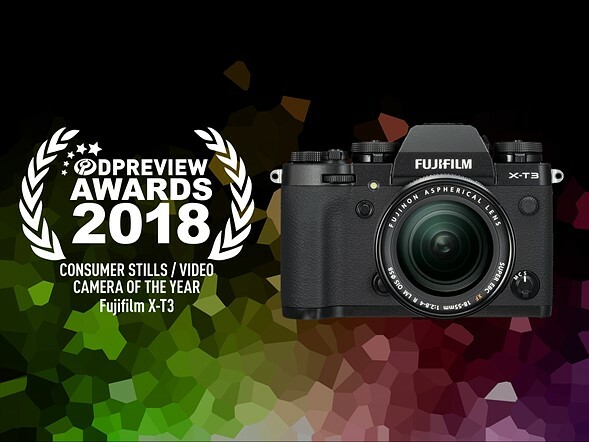 The Fujifilm XF10 was also nominated for best compact camera, along with the Fujifilm X-T3 being nominated for best midrange camera and the Fujifilm GFX 50R was nominated for best high-end ILC. This entry was posted in Fujifilm GFX, Fujifilm GFX 50R, Fujifilm X-T3, Fujifilm XF10 and tagged Fuji GFX, Fuji GFX 50R, Fuji GFX50R, Fuji Rumors, Fuji X-T3, Fuji XT3, Fujifilm, Fujifilm GFX 50R, Fujifilm GFX50R, Fujifilm Rumors, Fujifilm X-T3, Fujifilm XT3, FujifilmRumors, Fujirumors, GFX, GFX 50R, GFX50R, Medium Format, Super Full Frame, X-T3, XT3. Bookmark the permalink. Trackbacks are closed, but you can post a comment.